About Us – United County Mike Bendele Co. Welcome to the rolling hills of central Oklahoma. Nestled in the center of the state with convenient access to both I44 & I40, it’s an easy spot to come home to. Blessed with a variety of landscapes, suitable for livestock and wildlife plus mild four season climate it readily adapts to various rural lifestyles. The Lincoln County Fair is held annually in Chandler in late summer. Other local and area events include the Bell Cow Run, Chandler Ice Cream Festival, 4th of July Celebration, Annual Open Rodeo, Veteran’s Day Celebration and others. The Route 66 Interpretive Center located on Route 66 was once the Historic Chandler National Guard Armory. Now it is the Community Space and the most Convenient Conference and Exhibition Center between Oklahoma City and Tulsa. Chandler has an excellent school system. Nine colleges or universities are within 67 miles. Health care facilities include 3 clinics in Chandler, plus Stroud Regional Medical Center, Cushing Municipal Hospital, Shawnee Hospital & Stillwater Hospital. Chandler Lakes offers excellent fishing and boating. Bell Cow Lake is the largest of Chandler’s lakes. Three city parks provided a swimming pool, tennis courts, ball diamonds, playground equipment and picnic tables. 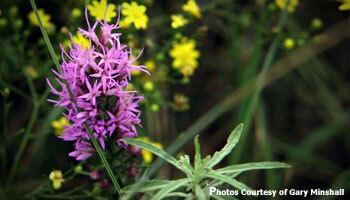 Hunting in the area consists of quail, squirrel, rabbit and deer. Horses are also an important part of the area due to the climate, availability of outstanding sires, major horse shows, rodeos, sales and racetracks. Oklahoma has pari-mutuel horse race wagering at Remington Park Racing Casino in Oklahoma City Track hosts both Thoroughbred and Quarter Horse racing and boasts some of the largest purses in America for Quarter Horse Racing. Oklahoma City and Tulsa are the home of numerous national horse shows. Oklahoma City is the site of both the World Quarter Horse Show & Youth World Quarter Horse Show. 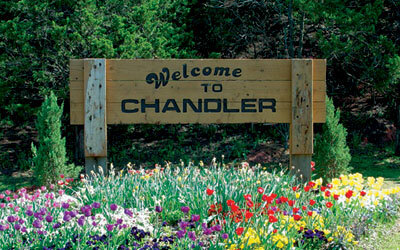 Chandler is not a large town but what it lacks in size is made up by the warmth and friendliness of its citizens. So whether you measure your stay in Chandler by hours or years, you can make yourself at home. Many choice real estate opportunities are available in our area and we at United would consider it a privilege to acquaint you with them.